The mages of long ago saved their world from fire, but left it in eternal darkness. Now, rare veins of quartz bring light and heat to a people on the brink of extinction, and desperate states vie to gain control of them. Rafe Grenfeld, diplomat and spy, has just learned the biggest quartz pillar of them all, the legendary Tors Lumena, really exists. But his informer died before revealing its location and Rafe’s on the run in the hostile state of Blackstone. 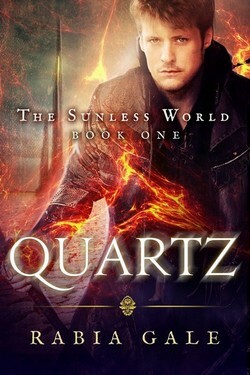 Determined to find the quartz for his people, Rafe forms an uneasy alliance with the mysterious and maddening Isabella. But they’re not the only ones hunting for the quartz. So is the Shadow, chief of Blackstone’s secret police. As dangerous magical artifacts resurface and darkness-loving demons close in, Rafe must tap into the lost powers of the mages to claim the Tors Lumena—before war and famine destroy his world.